One of my favorite Motorcycles… the Triumph Scrambler. 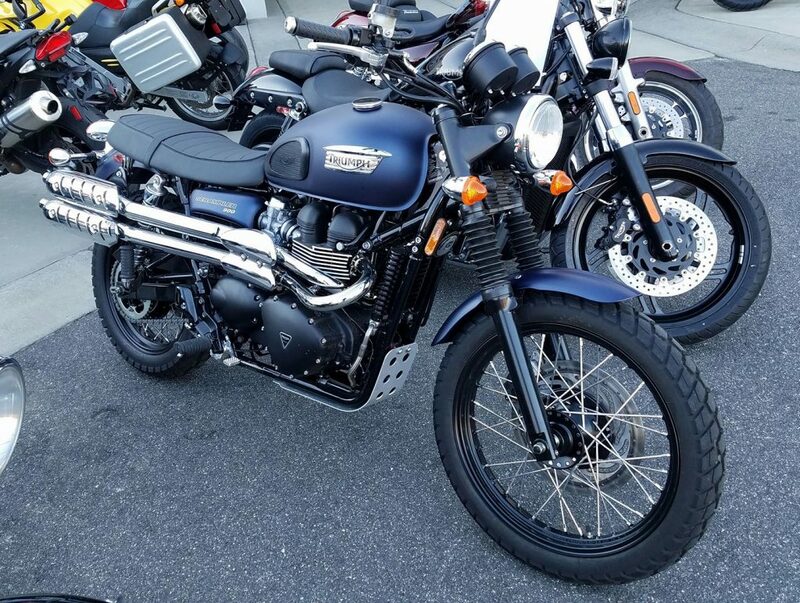 Just rode this one… It’s a 2016 model with the well known and battle proven 865cc Oil-Air Cooled engine. This engine produces as modest 58 horses and 68nm of torque moving a 500 pound bike… so that sounds like it’s not enough. Sounds as if it’s going to be a dog. But this is one of those bikes where Numbers don’t Matter. One thing that stands out to everyone looking at the Triumph Scrambler is the Pipes. No, they wont burn you. Yes, you will feel the warmth from them on a hot day if you are not moving. This is like any Air Cooled twin… You are going to feel the engine heat no matter what. These pipes have two layers of Heat Shielding over them. The first plate is angled to funnel air under the heat shields to keep them cool. I’ve ridden these enough to where I know that if it could burn you, it would have burnt me. I don’t even know anyone that has had a burnt leg because of the pipes. I do know one guy that fried his hand when he grabbed the pipe in front of the heat shield… because he wanted to know if it was hot. Turns out, yeah. It was. Don’t do that, and you’ll be fine. It is such a great bike. There’s something about the classic Triumph Scrambler that really speaks to me. See, the engine is not all that powerful. The bike isn’t really light at all. It even has far too much chrome on it for my personal tastes… and the suspension really isn’t even all that great. But the bike is more than the sum of it’s parts. Everything about it FEELS RIGHT when you ride it. Not looking at it, or sitting on it in a showroom… It Feels Right when RIDING. It feels like this is what Motorcycling should be. What it’s all about. The bars are at a good height and it gives you a very Fists in the Wind positioning, but with good width for leverage. This makes the bike feel very agile for it’s size and weight. Low speed maneuvers is easy and the bike’s good sense of balance helps that. For going where the pavement ends, standing up on the pegs feels almost as good as on a BMW GS. The bars have enough height, even for a Six Footer like myself, and the big fat rubber sleeved pegs give you plenty to anchor on. The big rubber welcome mats on the sides of the tank give you even more to grip on with your legs… so standing is easy. Which is good. Because I love standing up on a bike. 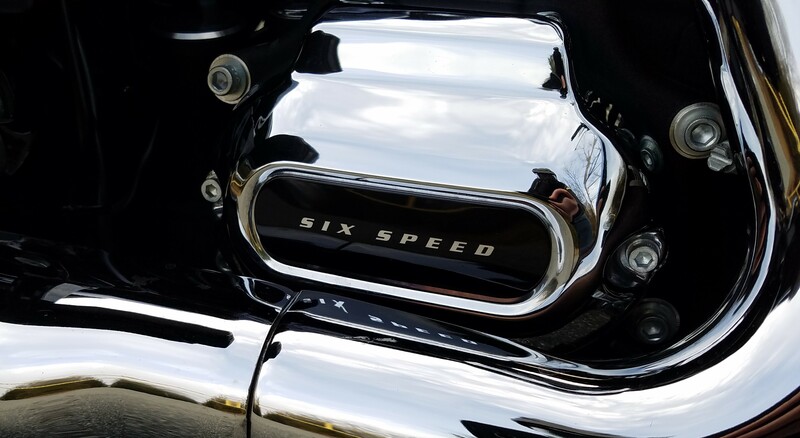 The engine has enough torque to get you moving… it’s no Rocket III, but it’s more than enough to get the job done. One of the things that helps with this is the ease of shifting. The Shifter feels very good, and communicates well. Unlike on any given Ducati, this one never gives you a false neutral. The shifter it’s self also doesn’t tear up my boot leather. It’s just “Nice”. I do wish it had better brakes up front. It’s only sporting a single rotor up front, and I would be happier with two. However I do not feel like the bike is really lacking in actual stopping ability. And of course, this model doesn’t have ABS or any Traction Control… this is the last of the Caveman Simple motorcycles from Europe. And I think that’s one of the reasons I really dig it. When you ride these Scramblers, you get a sense of understated competence from the bike. It’s ruggedly handsome, but not flashy. It’s just simply able to do everything you want it to do… and it does so without any undue drama. It doesn’t cry out for attention. It doesn’t need screaming exhausts, or blistering acceleration or Buck Rogers Fairings… It’s just a good solid motorcycle. And I LOVE THAT. Because after all… It’s a TRIUMPH. Now I’ve heard some people say that they just “Don’t get the point of a Scrambler”. I feel sorry for those people… The Scrambler, more so than any other type of Motorcycle is a Jack of All Trades type of bike. Meaning it can do anything that you want to do on a bike. It’s a both a great City Bike, Urban Explorer, and it’s also a great Adventure Bike. I’ve seen them in the Uintah and Rocky Mountains, high up on single track trails. I’ve seen them cruising down city streets at night. You do not need a specialized machine for each task… and really the Scrambler is competent at both in the same way that a specialized machine sacrifices one type of riding to better at the other. The Scrambler lets you have your cake, and lets you eat it. 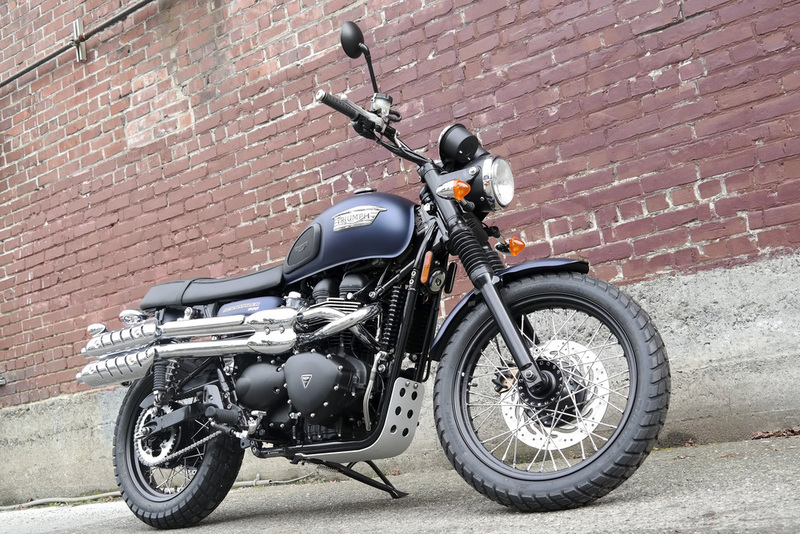 Triumph’s Scrambler is not a perfect motorcycle… and at the same time, it is the Perfect Motorcycle. 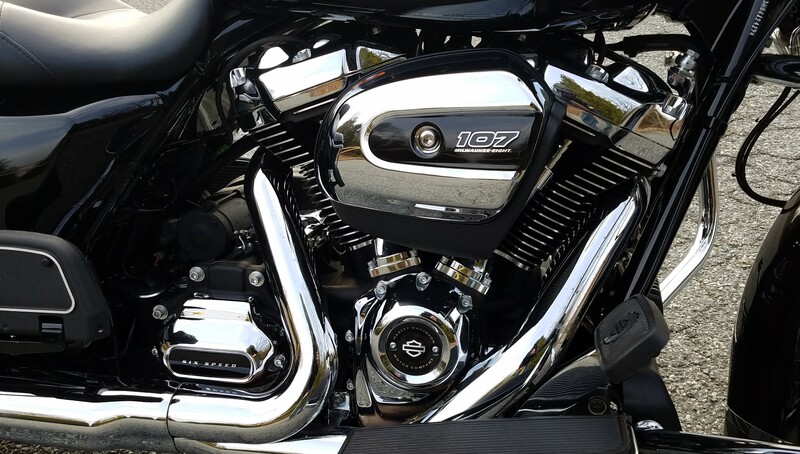 When I was given the invitation to check out Harley Davidson’s new Milwaukee 8 engine, I was very excited. I had heard some very good things about it. 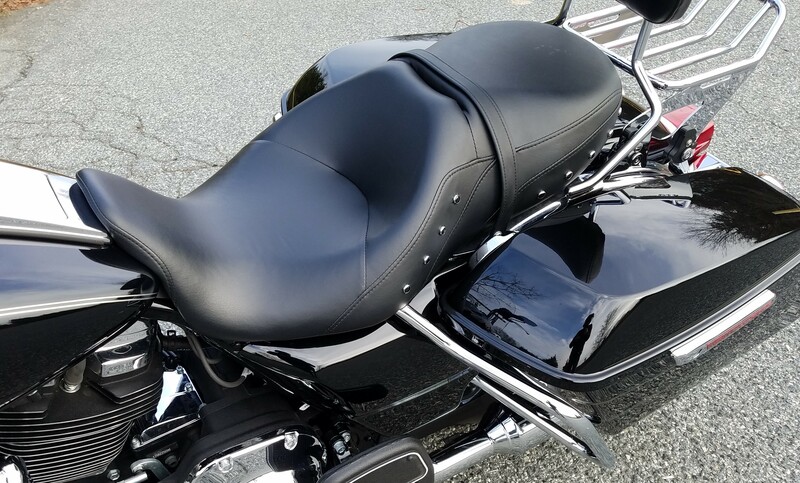 I had my choice of Touring and Bagger bikes, and I wanted to try the Street Glide, but the problem with that was that I had never ridden a Street Glide so I wouldn’t have a yardstick to measure this new bike with. 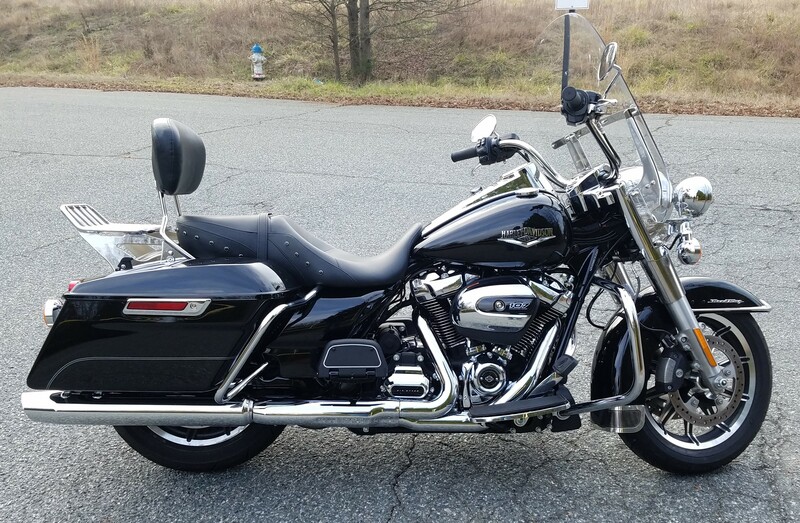 The last Bagger I had ridden was the Road King… So sacrificing new experience for familiar, I had elected to take the most objective path as possible. And I’m glad I did. The differences became apparent as soon as I let out the Clutch. It would be easy to just go over all the technical details, in detail. But engine specs don’t really tell you what the bike is like. However there is some important details I’m going to give you that backs up what I am about to throw down here. 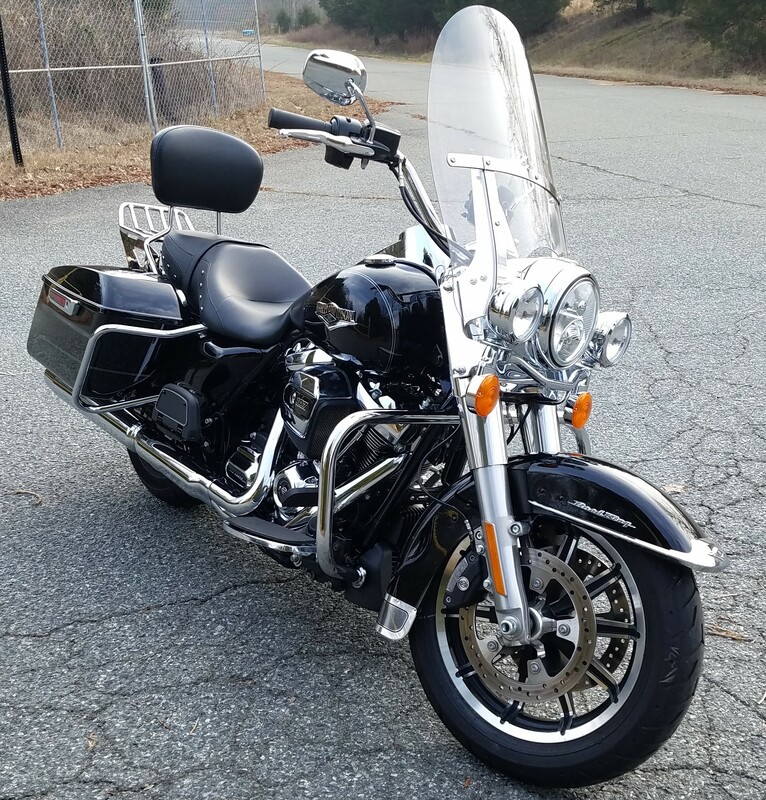 Right off the bat, my impression was that this Road King, while looking overall similar to the last one I rode, (which was either a 2012 or 2014 model year) this 2017 is a whole new machine. The Main Course for this dish is the Engine… But before we get to that, let’s go over the appetizers that help make this machine so delicious. Let’s start with the brakes. In 2014 the Motor Company has really stepped up their Brake Game with an optional upgrade for ABS. The downside is that it remains an optional upgrade. It should be standard equipment. But make sure you check the ABS box when you spec out your new HD. They are using a linked ABS system similar to what you find on a BMW motorcycle. This is good stuff and I was very glad to hear this. What this system does for you, is not just giving you anti-lock brakes… But it makes the brakes work together. So when you crush down on the front brake lever, you are applying breaking forces to both wheels, and the ABS system will work at both wheels to keep a wheel from locking up. But if you only stomp the rear brake, you are only getting rear brake force. To the Rider, this system is completely transparent. You never know this is happening… but it’s there. I believe this is the most important option on the whole list. Take it. Now, the brake feel is still on the heavy side. This should remind you that this is a big and heavy motorcycle. It is in fact heavier than the outgoing model, by 11 pounds. Again, get the ABS option. Now let’s talk about the suspension. Up front the forks might not look very different, but inside, they certainly are. They feel more stable during high speed sweepers, they feel more stable during braking, they feel more stable over rough road surfaces. At the rear the suspension is new as well. It’s using Dual Bending Valves and I wont even pretend to know what that means… All I know is that they got ride of the air over oil system that never really impressed me on these big bikes. Regardless of how this new system works, the results were immediately apparent to me. With new suspension in the front and the rear, the bike feels so much smoother on the road. It feels more confident. It flat out feels better. 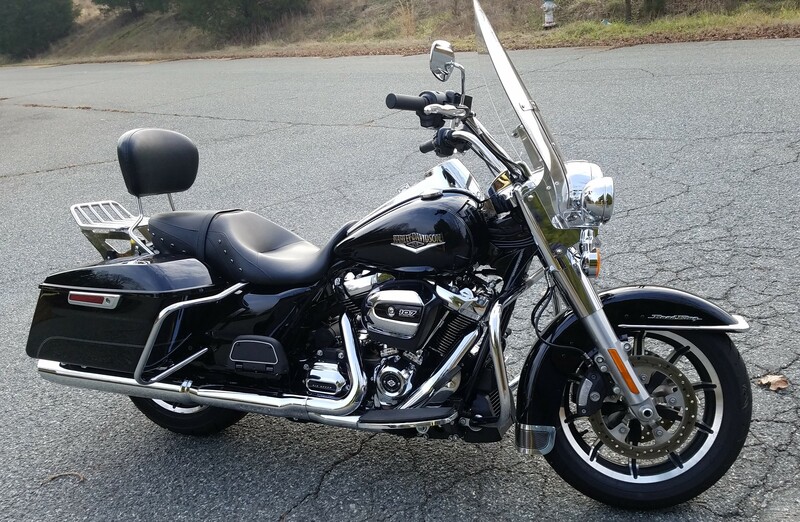 If you have an older Road King (Note, that the new suspension is in all the new Touring and Bagger bikes) and you have been thinking about upgrading to a new bike… this is reason enough to step up. The biggest reason to buy a 2017 is really and truly the new Milwaukee 8 engine. The new engine is nothing short of Fantastic. It’s all new and comes from a blank sheet on up build. Everything is redesigned. Let’s start with the name. The 8 means the number of valves. Four valves per cylinder lets the engine breath with better efficiency. More air in, more air out. In between that cycle comes the ignition and HD is now giving you two spark plugs per cylinder to fire these coffee can sized pistons. Dual plugs give you a more efficient burn, and since it’s lighting up from opposite sides, the time it takes to burn all the fuel-air mixture is reduced. In short, it’s giving you more bang per stroke. Combined with the better breathing, you have a much more efficient engine that gives you more power and a better delivery of that power. On paper, this engine is about 10% stronger. But that’s where the numbers don’t do the results justice. There is a dramatic increase is power in the lower revs. This bike is lot quicker off the line to get you up to speed effortlessly. Roll on passing power is better too, pulling you from 60 to 80 mph with power and glory that I’ve not felt in before in a full sized, factory stock Harley. The engine is not just more powerful… It’s also a lot smoother. 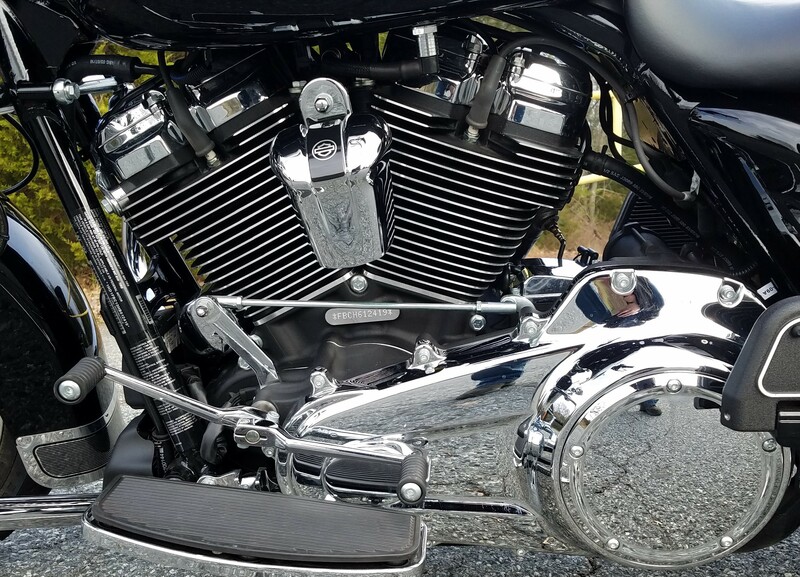 Thanks to a combination of both rubber engine mounts, and an internal counter-ballancer, Harley has been able to reduce engine vibration by 75%. There’s still enough shake to let you know you are on a Harley, and you still feel that power that the engine has… But it’s much more refined. Harley could have removed all the vibration and shake… but if that’s what you want, go look at a Honda Shadow. This is a big bore Harley, you will not forget that. Another thing worth talking about is how the Motor Company is keeping all this new power cool. It’s using the new liquid cooled strategy at the exhaust ports at the top of the engine – the hottest part of the engine. It also uses precision oil cooling in other areas of the engine, and of course good old Air Cooling helps in other areas. So really Harley has a triple cooling system that works impressively well. My weekend Ride was very comfortable because of this. I only got caught in traffic a couple of times, and it was only then that I felt some warmth off the engine. 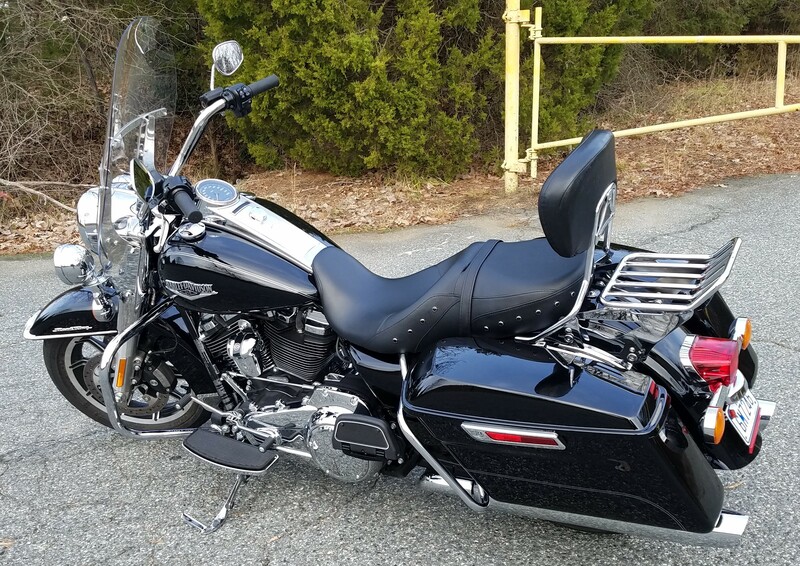 I never thought “this is getting hot” like I did before on the older Road King I had previously ridden. I’ll be honest, I have no idea what this cover is, but it looks boss. The emblem on the front fender… for some reason I just dig it. I’m not one for Floor Boards on a bike, and I’m not used to Heel Toe shifting… But I can see why people like them. My leg position was very comfortable, even with my shattered knees. The transmission was very good and never gave me a false neutral or felt “clunky”. So I am guessing that Harley worked some sorcery in there more than just giving at a +1 on the gears. The seat though, is the real hero when it comes for comfort. It gives you a little room to move around on a long ride, but I really didn’t feel the need to. This is a good saddle. One thing I didn’t mention before, the new Road King is feeling a lot more agile. When moving it feels light on its wheels. It’s almost “flickable”. Transitions between directions happen quicker than the last Road King I rode. Part of that has to do with the new suspension… but I mention that here because I found that the seat really does a good job of keeping you in it as you flick the bike from one curve to the next. On a bike that you sit in more than sit on, being able to feel secure and confident and totally comfortable is a good thing. I love that the seat gives you just enough support behind you to keep you anchored during hard acceleration. It’s also enough to give you some support for riding real laid back and letting your arms stretch a bit. Your passenger will have a nice back rest as well… and there’s a little rack behind her to strap down some luggage. Speaking of luggage, HD’s saddle bags are awesome. They are cavernous. I’ve not looked up the capacity, but it’s huge. But they also look very nice, streamlined, and they really fit the bike perfectly well. Very easy to open and close. These are good bags. Harley could probably make some good money by selling hard bags for bikes other than HD. Better Engine. Better Brakes. Better Suspension. Better Transmission. The whole bike is just completely better. The 2017 Road King is hands down the best Road King that Harley Davidson has ever built. 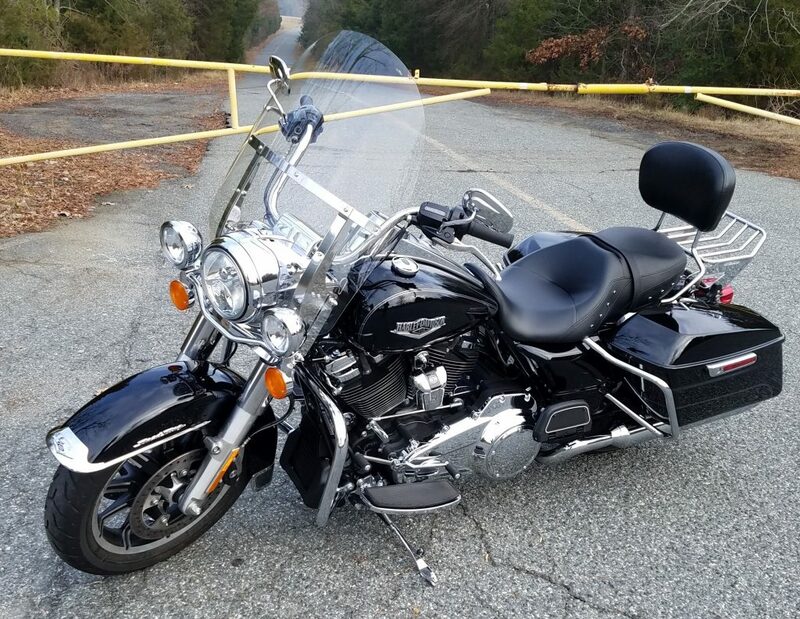 Yes, it’s worth trading up an older Road King for a new one. 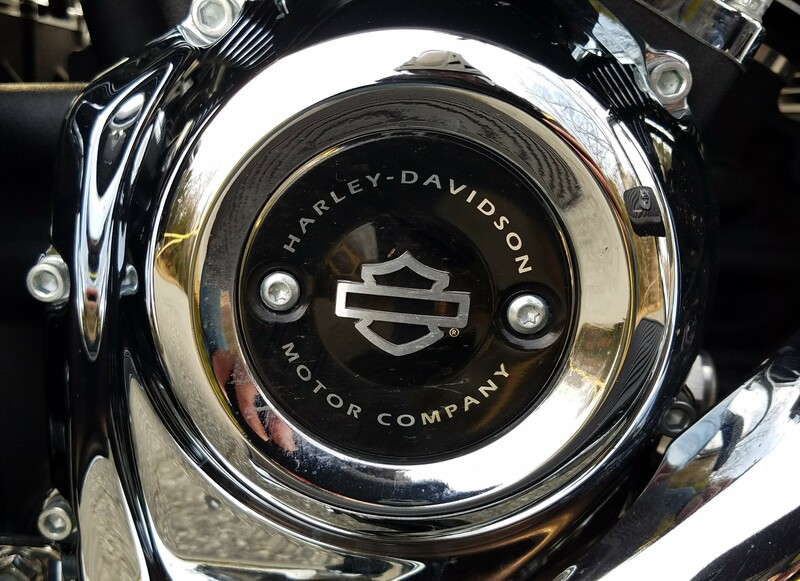 I really can’t wait to see Harley put their new engine tech into the rest of the Motor Company’s line up. Especially into their Sportster lines. A 48 with an engine that has 4 valves and 2 plugs per cylinder with some liquid cooling… That makes me excited.